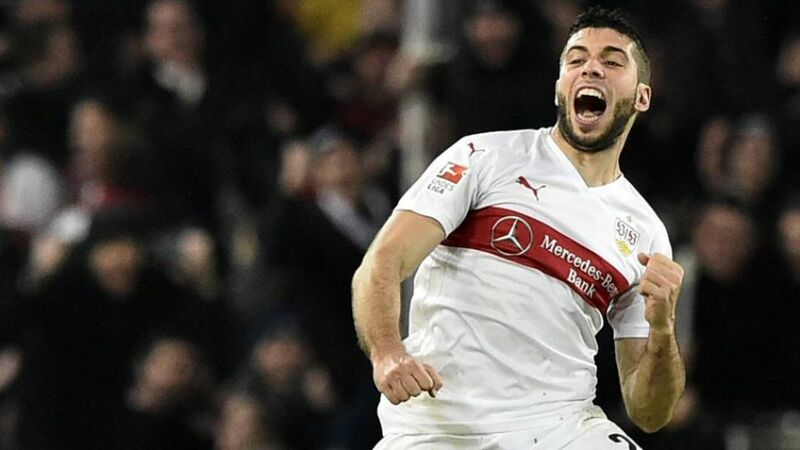 VfB Stuttgart boosted their survival hopes by extending their unbeaten streak to five games with a 2-1 victory at home to Hamburger SV on Saturday evening. The hosts defied their lowly league position and played superbly from the off. They were solid in defence and hounded Hamburg relentlessly in all areas of the pitch, forcing their visitors on to the back foot. Indeed, the only thing missing from Stuttgart’s display was a goal, yet despite clear-cut chances for Daniel Didavi, Timo Werner and Christian Genter, among others, it was all square at the break. The frantic pace continued into the second half and after missing several more opportunities, Stuttgart’s pressure eventually took its toll, with Didavi forcing Aaron Hunt into an own goal from a corner to deservedly put Stuttgart ahead. Yet HSV substitute Artjoms Rudnevs punished the Swabians for their profligacy shortly afterwards, scoring a superb diving header. The game appeared to be heading for a draw, until Artem Kravets gave Stuttgart the win they deserved with a late header. Didavi was outstanding throughout the game and his clever movement and passing unlocked the Hamburg defence on several occasions. The attacker’s involvement in the all-important opening goal underlined his importance to the Stuttgart team. This was Stuttgart’s third consecutive league victory, giving them hope and momentum for the relegation battle – even if they are not out of the woods yet. - Stuttgart had 24 shots on goal compared to Hamburg’s 13. - Rudnevs scored with his second touch of the ball. It was his first league goal since 23 November 2014. - VfB’s supersubs, Alexandru Maxim and Kravets, combined for the hosts’ winner.